Simon & Schuster, 9781501154089, 256pp. From Paul Yoon, the award-winning and critically acclaimed author of Once the Shore and Snow Hunters, comes a luminous collection of short stories set throughout the world—from the Hudson Valley to the Russian Far East—across periods of time after World War II. 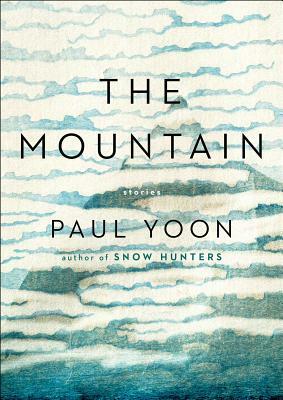 In The Mountain, Paul Yoon displays his subtle, ethereal, and strikingly observant style with six thematically linked stories, taking place across several continents and time periods and populated with characters who are connected by their traumatic pasts, newly vagrant lives, and quests for solace in their futures. Though they exist in their own distinct worlds (from a sanatorium in the Hudson Valley to an inn in the Russian far east) they are united by the struggle to reconcile their traumatic pasts in the wake of violence, big and small, spiritual and corporeal. A morphine-addicted nurse wanders through the decimated French countryside in search of purpose; a dissatisfied wife sporadically takes a train across Spain with a much younger man in the wake of a building explosion; a lost young woman emigrates from Korea to Shanghai, where she aimlessly works in a camera sweat shop, trying fruitlessly to outrun the ghosts of her past. Hailed by New York magazine as a “quotidian-surreal craft-master” and a “radiant star in the current literary firmament” by The Dallas Morning News, Yoon realizes his worlds with quiet, insightful, and gorgeous prose. Though each story is distinct from the others, his restrained voice and perceptive observations about violence—to the body, the landscape, and ultimately, the human soul—weaves throughout this collection as a whole, making The Mountain a beautiful, memorable read. Paul Yoon was born in New York City. His first book, Once the Shore, was selected as a New York Times Notable Book, a Best Debut of the Year by National Public Radio and won a 5 under 35 Award from the National Book Foundation. His novel, Snow Hunters, won the 2014 Young Lions Fiction Award. He is a former fellow at the New York Public Library’s Cullman Center for Scholars and Writers, and his stories have appeared in Harper’s Magazine, VQR, the PEN/O. Henry Prize Stories, and The Best American Short Stories. He lives in Cambridge, Massachusetts, where he is currently a Briggs-Copeland Lecturer at Harvard University along with his wife, the writer Laura van den Berg.